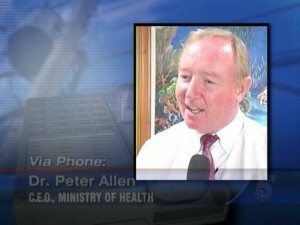 To get an official statement on behalf of the Ministry of Health, News Five spoke with C.E.O., Dr. Peter Allen. Allen says that what happened is regrettable and steps are being taken to rectify the situation, but that concern for the patients remains at the forefront. Allen says that at this time he isn’t able to say whether the letter of apology will put the matter to rest and that he is awaiting that report from the team dispatched to the San Ignacio Hospital. Letter of apology? No man get her removed. This happens because, the government don’t put the rigth people in the right places! Only in Belize a nurse is a doctor’s boss. All these doctor’s need to do is take a course in hospital administration. Doctors should administrate hospitals not nurses! Come on Peter Allen. 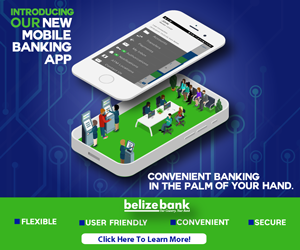 Move the health system is Belize foward not backward. Peter allen is a Dentist not a Doctor and he is the one that wrote the letter of apology and not ms. Pupo Pulido. this nurse has done a lot of bad things to the staff there and she need to get out now before its to late for her. get her out of san ignacio hospital. and to mr. allen stop cover for her. Come on … seems that the boxing has just started !!! We need better SERVICES at out hospitals, not disputes. Who knows the real truth? Maybe these girls are fighting for some boyfriend!!! Both of them should be dealt with accordingly ( a little spank in the rear) and sent to do their jobs ! Well I must let everyone know that alot of politics is involved with the management of this facility. Mr. Allen should wake up and see what is happening here because the only person that can change it is you Mr. Allen. You seem to be a God fearing man so you SHOULD know that a DOCTOR SHOULD manage the hospital. Really and truely Anonymous, a Dentist is the designation of a Doctor that is specialized in that field. So, be that as it may, the fact that he is head of the health services in the country is what matters. I know Pete personally and, I also know that people change but, if he hasn’t, then I trust that he will get to the bottom of this latest fiasco and sort it out and do the right thing as the CEO. Well said Louisville. I second that. I know him personally and he is very professional. well stop cover Mr. pete he also has his toloerance but I don’t know if for blame he or not but this country has many qualified person for the post but if you are not tight with politics you are nothing, the job will require for a qualified person but if are the minister !!!!!!! and only have a school diploma you get the job. @anonymous: do you realize that in order to become a dentist, you would have to be a GP first then you specialize. and where is your proof that Dr. Allen wrote the apology, what has he done to you or not done for you for you to be accusing him so. Fraudulent addresses for new Belizean Citizens?